Portrait Of Beautiful Business Woman Working At Her Desk With.. Stock Photo, Picture And Royalty Free Image. Image 60872216. 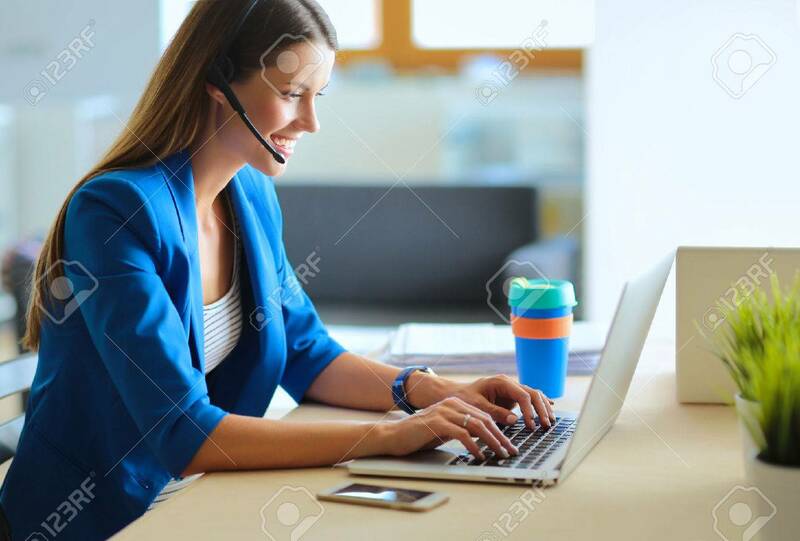 Stock Photo - Portrait of beautiful business woman working at her desk with headset and laptop. Portrait of beautiful business woman working at her desk with headset and laptop.